Guildford HC are delighted to announce the appointment of double Olympian Dan Fox as our new Director of Hockey, a role that will start on 1st August 2019. Dan is currently Director of Hockey at Charterhouse and played during the 2018/19 season for Conference East team Old Georgians HC, helping them earn promotion to the Premier League. He was voted into the 1st XI Conference East team at the end of the 2018/19 season (the best players in the XI positions from all ten teams in Conference East). Dan captained Great Britan in the 2015 World League Finals in Raipur and was named UK Sports Writers' Player of the Year in 2016. He announced his retirement from international hockey in December 2016 with 101 England and 63 GB caps. He had competed in nearly 20 international tournaments including the World Cup in 2014, the Commonwealth Games in 2014 and the London and Rio Olympics. 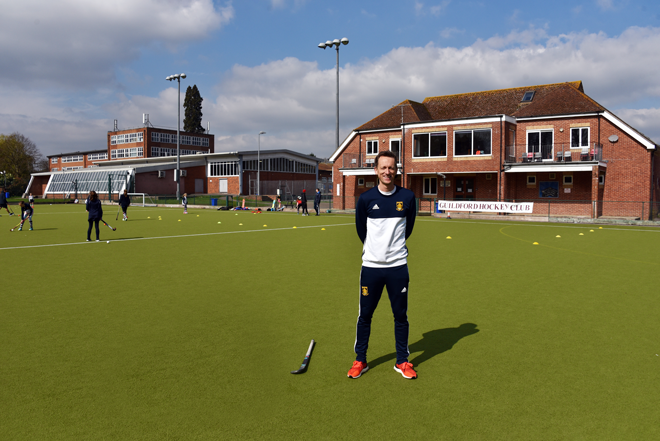 In addition to his long playing career at the top levels of hockey, Dan comes to us with extensive coaching experience - a range that includes running camps for the littlest juniors all the way to assisting with the GB men's team and coaching England U21 men and women, the England Hockey Performance Centres and more. "The new Director of Hockey role will be responsible for creating an environment in which all our players, coaches, umpires and supporters have a great experience on the hockey pitch. This includes being part of both the adult and junior sections and working with our social and performance teams to build on the long and successful history of the club. "In a day-to-day capacity you will see me running coaching sessions, leading the club’s coaching team, providing a link between the junior and adult sections, looking after the club’s links with local schools and other organisations, and providing a route into the Player Pathway for elite junior players. 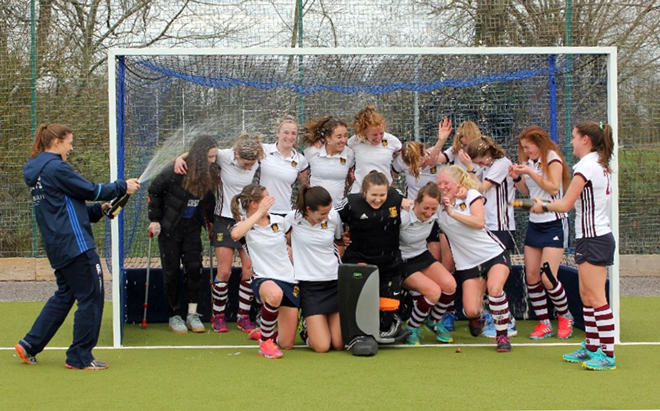 "The Club has an impressive group of dedicated and enthusiastic volunteers that already deliver coaching, captain teams, umpire, book pitches, register players and generally ensure that Guildford Hockey Club is a great place to play. That structure will continue to be an important part of how we operate, and as the club grows and we add more senior sides and increase our junior membership, we will continue to encourage more people to get involved. "I look forward to seeing you at the club and to a bright and successful future." The Leagues are finished but the fun continues. Join us on a Wednesday evening for social 7-a-side games. Men, Women and Juniors (must be at least 13 years old) all welcome. Four GHC Teams Finish Top at end of 2018/19 Season - 7 Teams earn Promotion! Men's 1s and Ladies 1s, 3s and 4s are all League Champions this season! Ladies 2s and 5s finish 2nd and will normally also earn promotion. Men's 3s also finish second in their league table with the Men's 2s in third. 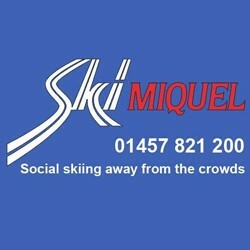 Watch this space for exciting plans for next season and beyond!! 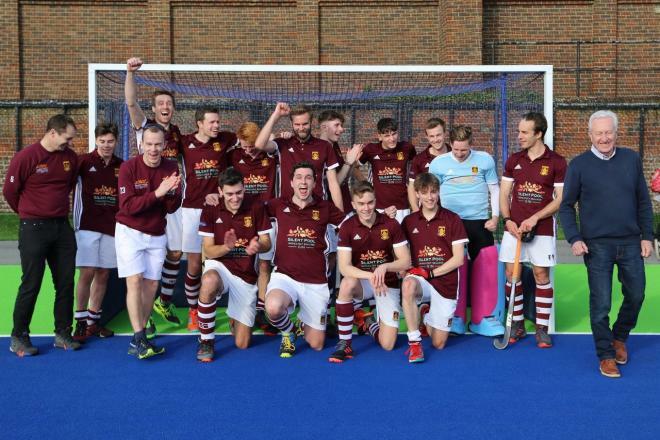 With several games still to play, Guildford HC Men's and Ladies' 1st teams have both played their way to promotion to South Div 1 for next season. The Men are undefeated as of 1 March and the Ladies, having lost only two games are four points ahead with a game in hand. 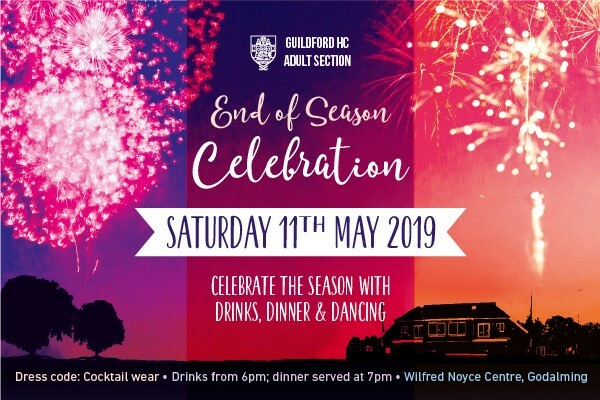 End of Season Celebration - SOLD OUT! Whether you're 5 or 65, there's never been a better time to play hockey. Players, parents and supporters have been enjoying the sport and social life that thrives around hockey at GHC since 1912. We have 7 Men’s teams, 5 Ladies’ teams, Mixed hockey and a thriving Junior Section with 600 children from 5 to 18 years old. Our Clubhouse is located at Broadwater School in Godalming with two all-weather pitches and it's busy with training, matches and social events on weekday evenings and weekends. We pride ourselves on providing an enjoyable and productive hockey experience for all age groups and all ability levels. Please have a look at our website and if you are interested in playing or getting involved. New players very welcome. Come and see why Guildford is A Great Place to Play. 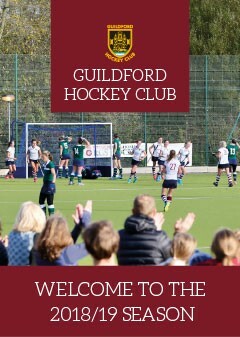 Also have a look at this season's GHC Brochure - members, please collect your copy from your Captain or in the clubhouse.